Are there any developers left NOT featuring or planning a downloadable app store? And is the continual creation of more and more apps really helping anybody? Sure, if you’re an iPhone or Android user you’ll welcome the large variety of (often free) applications that let you do everything from check you train times to play the latest flash game. But whilst this format may work on some of the latest smart phone handsets on offer, does Vodafone really have anything to bring to the table? After all, they may have the HTC Magic in their stable, but seeing as that runs off the Android app, what’s the benefit to Vodafone creating a service of their own? Much like Twitter is the buzzword in social media, apps seem to be key for mobile operators, and this announcement follows on from Apple selling their one billionth application. 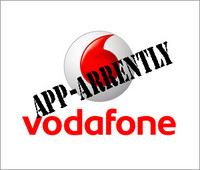 The idea is that customers buy the apps straight through their account, so don’t need to input any card details, and Vodafone aim to grab a slice of the app pie-as they currently own 30% of the mobile market. But why would you opt for the Vodafone store rather than the Blackberry App world or others on offer? Pricing will have to be attractive, but they say they’re open to third party developers which could lead for interesting times; I just wish they’d be an apps standard, so that when you change handset you don’t lose your favourite apps! Win a Shaepways item of your own!